On this day June 20th, 2018, Ogata Haruna embarked on her final journey alongside Morning Musume '18, before joining the ranks of many beloved but graduated members and marking her history as a member in one of Japan's longest running idol groups. Now, after a short but memorable three years and eight months, Ogata Haruna will create a new path for herself as she looks towards her new dream of attending University. Already it feels weird to write these words, and right now it's hard to think that Haachin won't be a part of this lineup. I can't even express how strange it feels to know that from this day on, Haachin is a member of the Graduated girls. Then again, this isn't a graduation any of us were expecting halfway through the year. Despite it being a rather short three years and some months, though, I am happy that we were able to know the joys of Ogata Haruna. Though she wasn't excessively pushed, nor was she ever-present in music videos or songs, she was a member who always showed a great amount of energy and a smile regardless of all that was thrown at her. On top of that, she is one of those members that would always get back up even after she had been knocked down, a trait that few cared to see in her. Amongst so many other members, our dear Haachin stood out as a breath of fresh air. It goes without saying that Haachin was never the most talented member of the bunch, but she had a drive that goes unmatched. Where she may have faltered, she would make up for it with sheer enthusiasm and persistence. Even if she wasn't confident in something, it seems like Haachin was the sort to simply brush off her own inexperience and make it something positive, trying her best no matter what and showcasing a desire to better herself as an idol. There have been times where you might have thought 'she's weak, inexperienced and a waste of time', but to a lot of her fans, Ogata Haruna was a go-getter and a light within Morning Musume. For many, she is another bright spark within a group that is loved by thousands. I like Ogata, and I am so happy she was a part of Morning Musume '18. For me, she was a girl with a brilliant smile and a charming aura. Plus, she is eye-catching and cute. Sure, she may have seemed awkward at first, but throughout her time as an idol she was able to show off a cool and sweet side to herself that was incredibly endearing. To me, despite how much she may have fallen behind the others in terms of talent, skill and strength, Haachin still maintained a professional and fun-loving attitude on and off camera. Regardless of where she stands in anyones ranks, I think that this persistence of Haachin's is impressive, but it should also be noted that this is the general way of an Idol. It is not their talent, their looks or even their power that makes them an idol, but their persistence in bettering themselves as they bring joy to their fans. 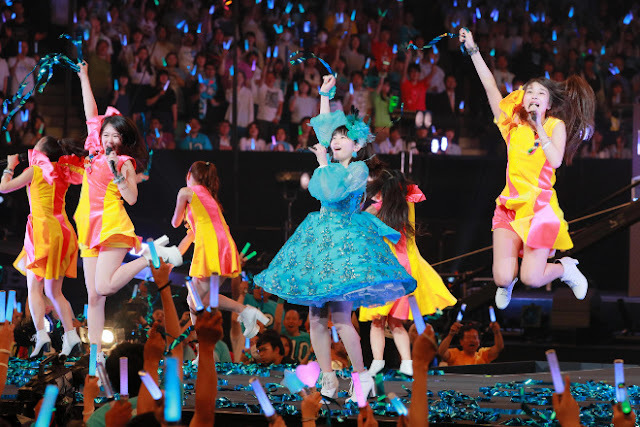 It is their own improvement that makes us adore them, and for Haachin, every small leap she took was another leap that took her one step further to becoming a better idol compared to the young girl who had first joined Morning Musume back in 2014. She may not have made leaps and bounds like others, but for Haachin, even the smallest achievement was worth every moment of happiness this joyful girl exuded. To you she might have been insignificant, a blip on the radar amongst many a talented idol, but to others she is precious. This girl brings a smile to her fans' faces and creates happiness, and regardless of how you might personally feel about her, it's the love and joy she brings to a fan that matters. So, regardless of her talent - or lack thereof - and despite the small achievements she has gained in her short runtime as an idol, please celebrate the joy and love this girl brings, and please recognise the sadness that her graduation will deliver as she sets off on a new journey away from the stage and away from our view. Ogata Haruna is an idol who, despite being loved and adored by many, has also been dismissed and disliked by many for the fact that she is not perfect, and because she is not that talented in dancing or singing. For those who look beyond the stage, you can see just how wonderful she is, how her spoken voice is that of an angel, and how her attitude goes beyond the cool and professional idols we typically see. For Ogata, her strength was not in singing or dancing, but in speaking and expressing, being a personality and showcasing her own charisma and charm on TV and radio. Amidst a group of girls who can dominate the stage, here stood a girl who could intrigue you with her own words and make you understand just why she was so special, and why she is adored by her fellow members and fans. There is still a lot that needs to be said in regards to Ogata Haruna the idol, and I still need to express my views in future posts that I haven't been able to finish before this one, but I will get to those as and when I can. For now though, I wanted to express some thoughts and my thanks to Ogata here and now, the very day that she has graduated Morning Musume '18, Hello! Project and the industry in general. For these past few years, Haachin has worked hard and shown us a smile that is filled with gratitude and joy, and on this very day she leaves us with that same smile and a ray of hope that she will return. Hopefully we will see her again, and I can only pray that it will be one day soon. Haachin is incredible, and Haachin is bright. She is someone I didn't know as well as I do other idols, but she is intriguing, fun, cool and serious, but above all she is an idol who showcases her passion 100%. Her smile might not be the widest we have seen, but when her eyes light up and that smile reaches them, it's then you see that she is at her happiest. I truly believe that during her time as an idol, Haachin was happy and that she loved every challenge that was thrown her way. She may not have conquered such challenges, but the fact that she overcame them makes me understand that being an idol was the right thing for Haachin to do, even if it was for a short while. For all her hard work, the effort she has put in and the smile she has given us until this very day, I thank Ogata Haruna and wish her all the best in her journey as a University student. 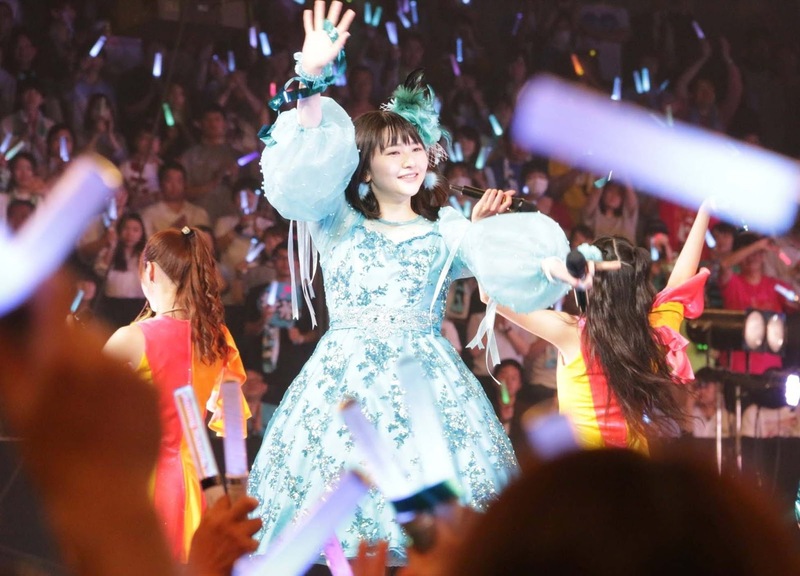 Though she may be a small part of a long history of idols, Ogata Haruna has made her mark and impressed those who adore her, created happiness and given us all her smile. To some, she will be the blip on the radar, but to a great many, Ogata Haruna is the light in Morning Musume that keeps them intrigued, and she is the girl who earned your support with her persistence, her drive and her beautiful, radiant smile. It's the end of the road for Ogata Haruna: The Idol, and from today she begins her life as a hardworking student. For these precious few years, thank you for being our Idol. Thank you for delivering a smile with each and every step you took. Thank you for creating such wonderful memories and being in your fans' lives. We will miss you, but you will always be loved from afar.